You can now delete your personal bots’ items from your web browser! The Personal Bot Inventory Browser has been updated so that you can now delete items without having to login as the bot. 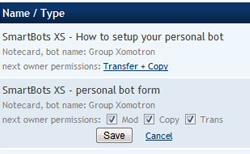 Click here to read more about the Personal Bot Inventory Browser. All notices being sent with SmartBots can be sent along with attachment! All types of the attachments are allowed: notecards, landmarks or whatever else. 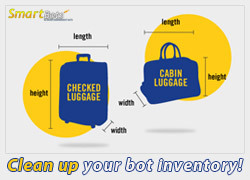 To use your inventory item as a notice attachment, simply drop it to your SmartBots SL bot. After you do that, this inventory item can be selected to create the SL group notice. 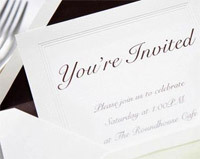 This option is available with both one-time and scheduled notices.